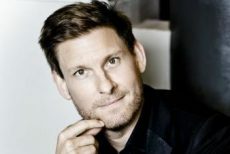 South African-born, London-based Kristian Bezuidenhout is ranked among the leading keyboard players of his generation. Although he’s best known for his fortepiano interpretations of music by Mozart, his repertory also includes works by Schubert, Schumann and Mendelssohn. EMV is thrilled to collaborate with the Vancouver Recital Society in bringing this inspiring and captivating young artist to Vancouver. Recitals these days are frequently held in vast concert halls with a seating capacity of more than 1,500 persons. Pianists usually perform on grand pianos with 88 keys and more than seven octaves. This evening, we sit in a theatre that holds just 275 persons. We step into Mozart’s world, and leave the 21st century orbit of incessant sound assaults, and retune our ears, our awareness and sensibility. From the first measures of the opening work on this evening’s all-Mozart program, performed on an instrument that many listeners hear for the first time, we immediately become participants in the unique sound world of the 18th century. The fortepiano is a keyboard instrument made almost exclusively of wood. The sound of the fortepiano is produced when the hammers strike the strings, in contrast to the harpsichord in which the strings are plucked. The keys of a fortepiano are shorter and narrower than those of a modern piano. The strings run in the same direction as the grain of the soundboard, from the keyboard directly to the rear of the instrument. This “straight stringing” gives the fortepiano a matchless clarity and transparency of sound. The earliest fortepianos had a range of four octaves. By the mid 18th century the keyboard had been extended to five. The fortepiano of Mozart’s time had evolved significantly from the first keyboard instrument of its kind, attributed to the Italian instrument maker Bartolomeo Cristofori (1655-1732). Cristofori was the custodian of musical instruments at the Florence court of Ferdinando de’ Medici, a devoted patron of music. Cristofori’s invention lay in his design of the instrument’s action: the escapement – a mechanism that allowed the hammer to strike the string and instantly rebound, leaving the string free to resonate. An inventory of instruments in the Medici collection, dated 1700, mentions an “arpicimbalo,” i.e., an instrument resembling a harpsichord, “newly invented by Bartolomeo Cristofori with hammers and dampers… and a range of four octaves.” An article in the Venetian Giornale de’letterati d’Italia in 1711, describes Cristofori’s instrument as a “gravicembalo col piano e forte” (“harpsichord with soft and loud”), the first time it was called by its eventual name, pianoforte. The oldest surviving Cristofori instrument (1720) is located in New York’s Metropolitan Museum. During the 18th century, significant technical improvements were made to Cristofori’s escapement, as well as to the damper – the mechanism that controls the stopping of the string’s vibration. A damper had been devised by Gottfried Silbermann, (1683-1753) but it required the use of the player’s hands in order to function, and thus could only be deployed during pauses in the music. The fortepiano developed by the outstanding Augsburg instrument builder Johann Andreas Stein (1728-1792) incorporated a damper that was controlled by a knee lever, pushing upward on the lower surface of the instrument – similar to the effect of a sustaining pedal on a concert grand piano. After moving to Vienna some five years later, Mozart purchased a fortepiano from Anton Walter – Vienna’s most important instrument builder – whose instruments had a more powerful sound than those built by Stein. Walter’s instruments were the deluxe keyboard instruments of the period. The force needed to depress a key on a Viennese fortepiano was only about a fourth of what is needed on a modern piano, and the descent of the key only about half as much. Mozart used a Walter piano during the performances of his mature piano concertos. Beethoven played a Walter piano, as did Schubert. This evening’s program offers a dazzling, kaleidoscopic view of Mozart’s compositions for solo keyboard. The Sonata in E flat major, K. 282 was written in 1774 by the 18 year old Mozart while in Munich for the production of his opera La finta giardiniera. The poignant mood of the first movement is lightened by the charm and wit of the Minuet and Rondo that follow. The Suite in C major, K. 399, an homage to the Baroque, was composed soon after Mozart moved to Vienna in 1782, and sometimes bears the subtitle: “In the style of Handel.” Mozart completed the first three movements: Overture – Allemande – Courante. The Sarabande, left unfinished, was completed by the American pianist Robert Levin. The enigmatic and contemplative nature of the Menuet in D major, K. 355 is surprising – quite removed from the usual association of the Menuet as a slow, stately 18th century dance. The astounding “Eine Kleine Gigue,” K. 574, just thirty-eight measures in length, is remarkable for the spare, angular quality of composition. Pianist Alfred Brendel, in his A Pianist’s A-Z, underscores the “chromatic boldness” of both the Menuet K. 355 and the Gigue K. 574. Tchaikovsky quoted these works in the first two movements of Mozartiana, his homage to Mozart, written in 1887 to mark the centenary of the premiere of Don Giovanni. The Sonata in A major, K. 331 is the second of three sonatas composed in 1783, and may have been composed with Mozart’s sister Maria Anna (Nannerl) in mind. The well-known last movement, the Rondo alla Turca – took its inspiration from the popularity in Vienna at that time of “pseudo-Turkish” music. Mozart’s Violin Concerto K. 291 and his opera The Abduction from the Seraglio displayed the fashion for the alla Turca style.